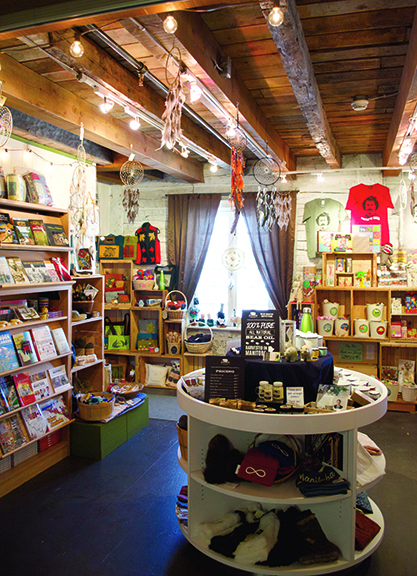 Le Musée de Saint-Boniface Museum features a shop that offers a variety of souvenirs, gifts and heritage-themed items related to the fur trade and the French Métis cultures. Shopping here you will discover unique merchandise, the popular voyageur sashes, voyageur shirts in various quality, patterns and sizes, traditional toys, local hand-made gifts, local foods and Québec Maple Syrup products, full Etchiboy product line and more! The Museum is a non-profit organization; all proceeds from any purchase made at the store supports Le Musée de Saint-Boniface Museum. The store accepts major credit card and debit cards. To receive a one time 20% discount on an order and 10% future discount on all orders, become a member of the museum! We are closed April 19th, 21st, 22nd for Easter. Open with Easter activities for kids on Saturday the April 20th.